OLD PARKED CARS. 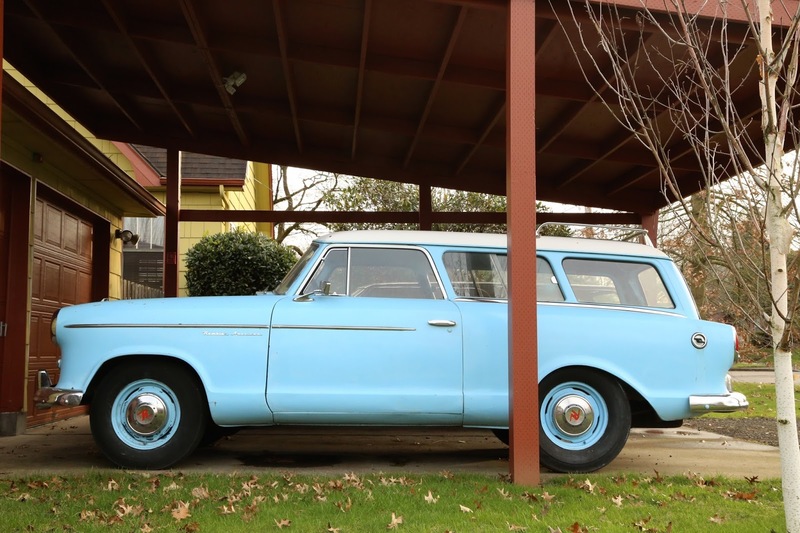 : 1960 Rambler American. That is amazing. What a wonderful, weird, evocative shape. It looks like a vintage cartoon depiction of a car. 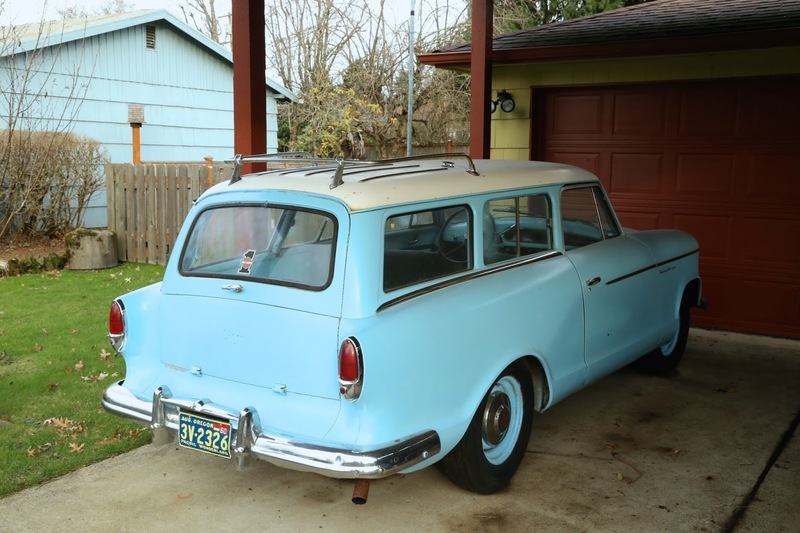 Always considered these as a "Mini Nomad" although if memory serves, the Rambler actually happened first. Neat wagon hiding behind it. I'm guessing 68-69 Chevelle??? Beautiful baby blue on a not too beautiful body. 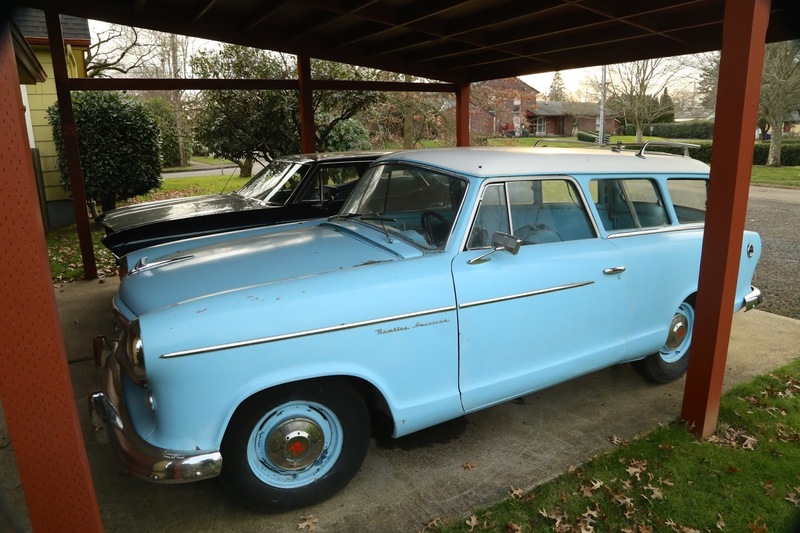 I'm thinking that even as late as 1960, these cars STIll had an archaic 30's era flathead 6 cyl in them!